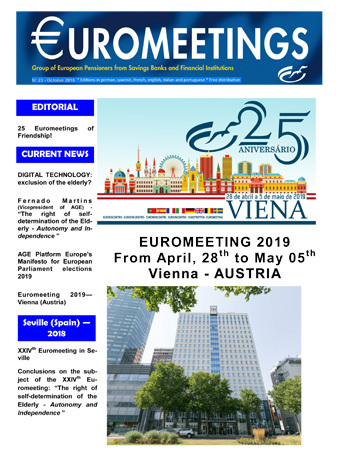 The upcoming Euromeeting will be taking place in Vienna (Austria) from 28th April to 5th May 2019. All the information regarding the preliminary programme and the registration will shortly be published on our website. You will as well hear very soon from us. 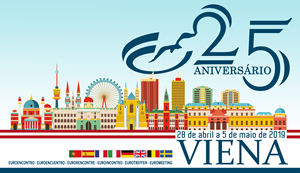 The upcoming Euromeeting will be taking place in Seville (Spain) from 19th to 26th May 2018. All the information regarding the preliminary programme and the registration will shortly be published on our website. You will as well hear very soon from us. Our next Euromeeting will be held in the North West region of the Iberian Peninsula – Galicia. We are going to work and rest in La Coruña, in one of the most iconic hotels in all of Spain- Hotel María Pita.